REX trips to Chicago have proven very fruitful in the past, and last week’s endeavor was no different. 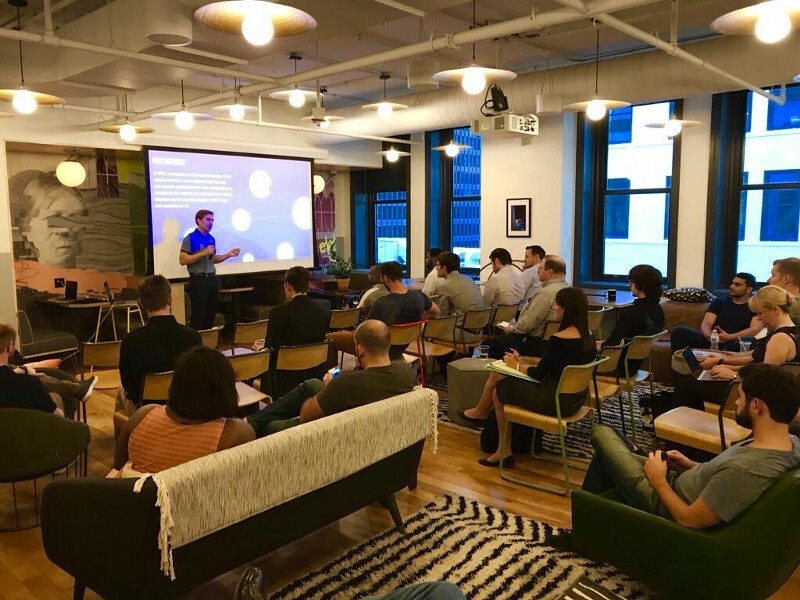 On Wednesday, we gave a presentation at the Chicago Blockchain Real Estate Collective, one of the best connected and forward-thinking organizations connecting real estate and blockchain anywhere in the world. There were government officials, industry leading brokers, and cutting edge technologists in the audience, many of whom expressed an interest in REX’s development. On Thursday, we participated in the Hyperledger Hackfest at Mhub to explore alternative scaling solutions. 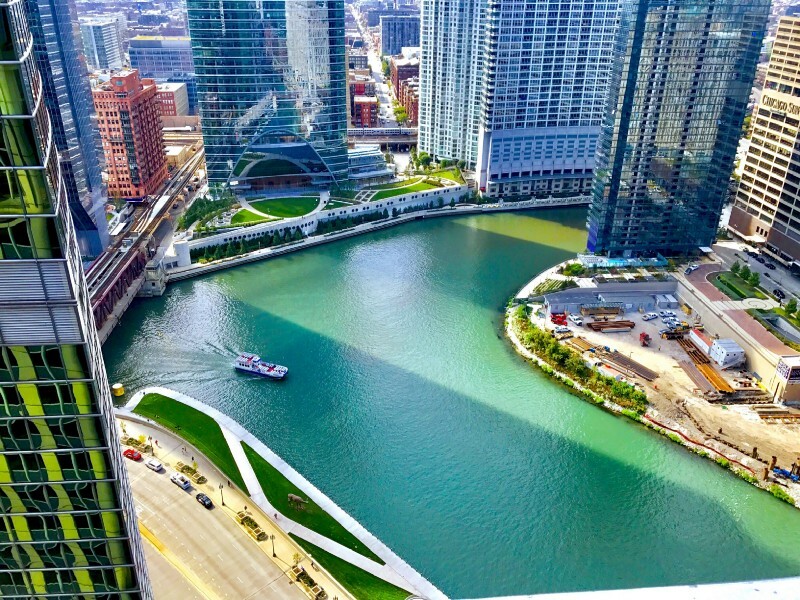 Founded by The Linux Foundation, Hyperledger drew some of the brightest minds in the business to Mhub near Chicago’s waterfront, and we left with some very interesting ideas to consider on the dev front. We would like to thank members of CRT labs for the invitation! Switching our focus to real estate institutions, we then had the opportunity to tour and meet with DTZ — Debenham Thouard Zadelhoff — one of the most successful international commercial real estate firms on the planet. We briefly presented REX’s vision and the benefits REX and blockchain can provide to organizations like DTZ. Next we had the opportunity to connect with several staff members of the National Association of Realtors, a group which is perhaps the strongest influence in all of stateside real estate, and the largest trade association in America. We are continually impressed each time we meet new staff members. Not only do they represent their members to the highest degree, but they are exploring groundbreaking technologies like blockchain and how it will affect the real estate industry in the years to come. Through speaking with these experienced individuals we gained insightful feedback on REX and hope to collaborate with them in the future. Keeping up the momentum, on Friday, we met with members from Jones Lang LaSalle, another remarkable real estate services organization. The goal of all these meetings was to present REX, and also to educate the real estate industry on the benefits of blockchain and data distribution. In all of our interactions with major players in the real estate industry, we’ve been keen to present the mutual benefits between the blockchain and the interests of the industry itself. We’re very enthused with how receptive of an audience our meetings provided. It’s clear that the blockchain tide will hit the real estate industry, and soon, and with development — both tech and business — on the REX platform kicking into high gear, we’re confident that it will be REX that helps unlock this much needed innovation. This week, we’re headed back to Washington DC for a series of follow-up meetings with investors, collaborators, and leaders in the real estate industry. Stay tuned for more updates!